Bruno Stagno is an architect from Costa Rica who designs for the tropics. 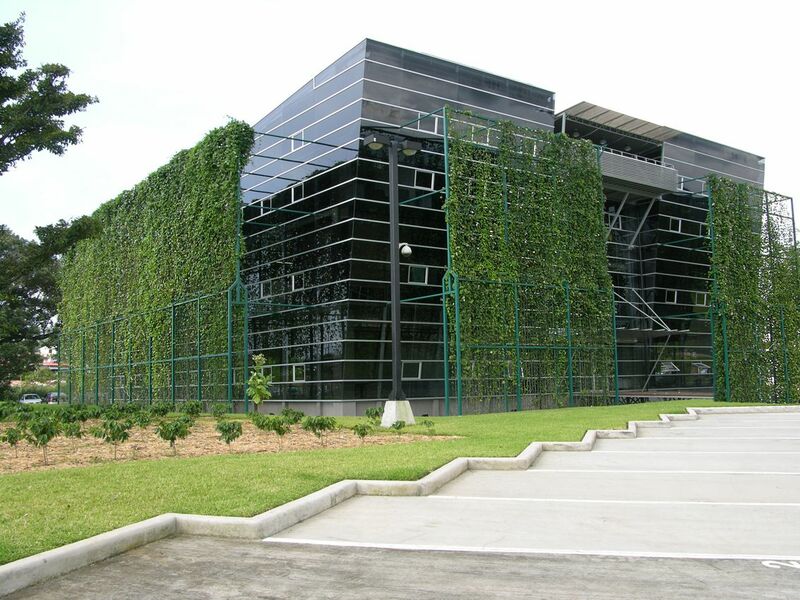 The use of climbing plants for bio-shading (creating cooler buildings and outdoor spaces) is known in this country too – but these are stunning examples. 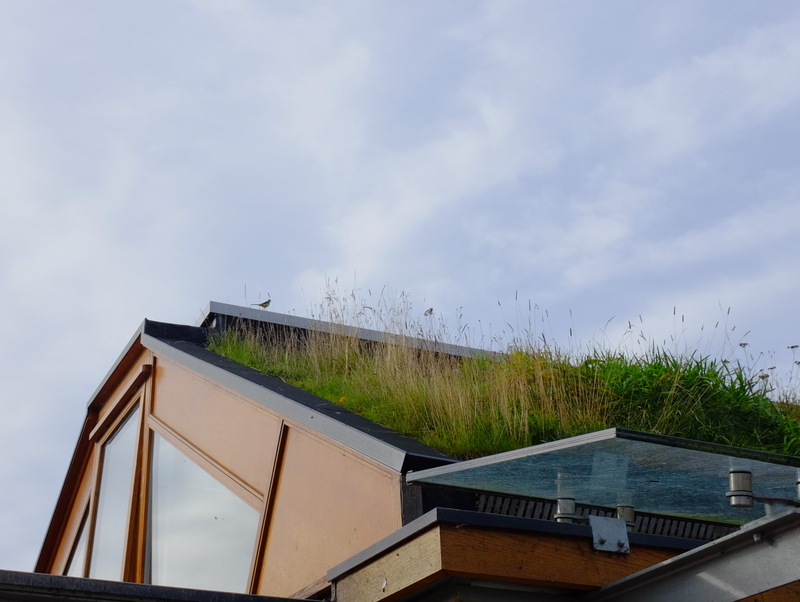 The second day of our DIY Green Roof workshop involved a tour of some inspirational buildings in Brighton & Hove. 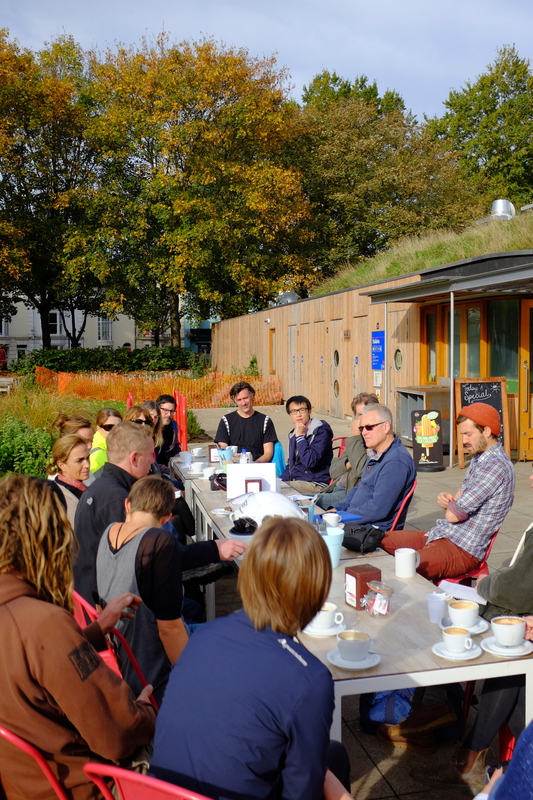 First was the Velo Cafe, with a green roof fitted by Organic Roofs. 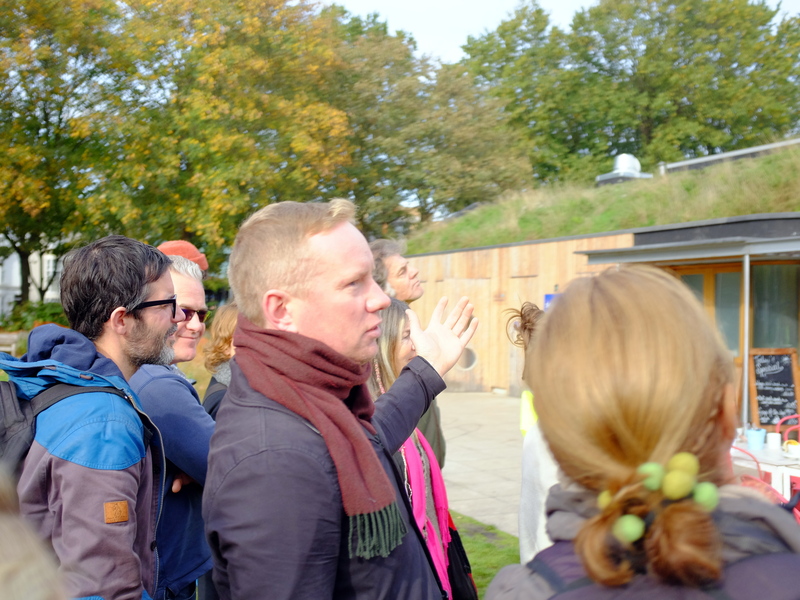 Lee Evans talked the group through the trials and tribulations of green roofing on a pitched slope. The roof now looks great, and we spotted a female grey wagtail feeding on it. We visited Madeira Drive to see the ‘world famous sheltered walk’ and the green wall. 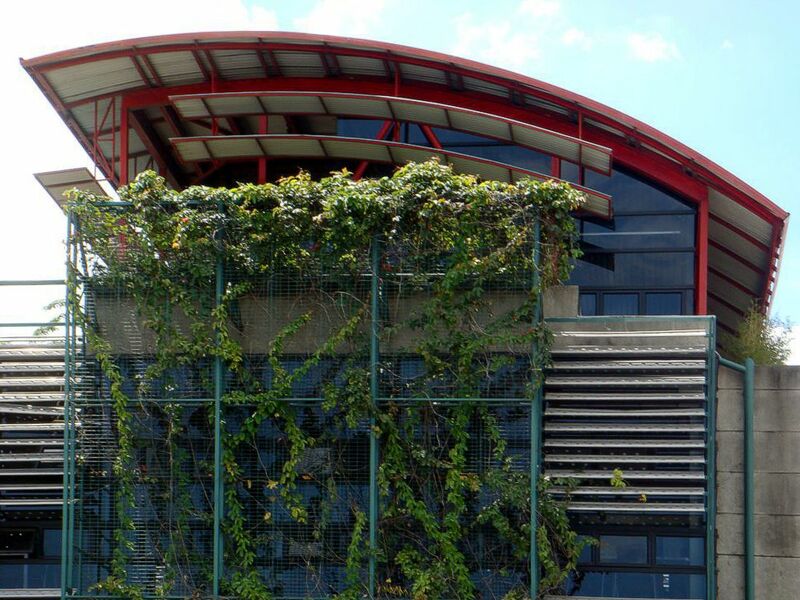 Great inspiration for greening the other 4 building surfaces – which are often forgotten amongst all the talk of roofs! 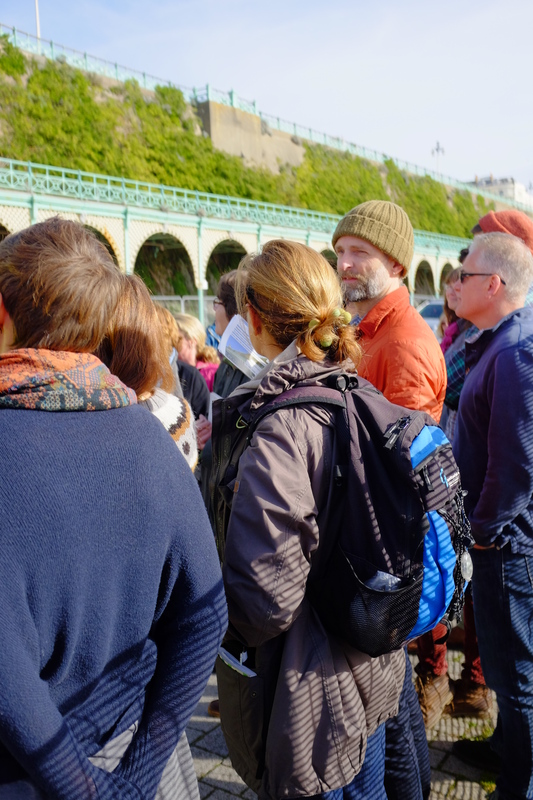 This was the first guided visit to the Madeira Drive Green Wall, and Building Green highlighted the threats and opportunities for its continued conservation. 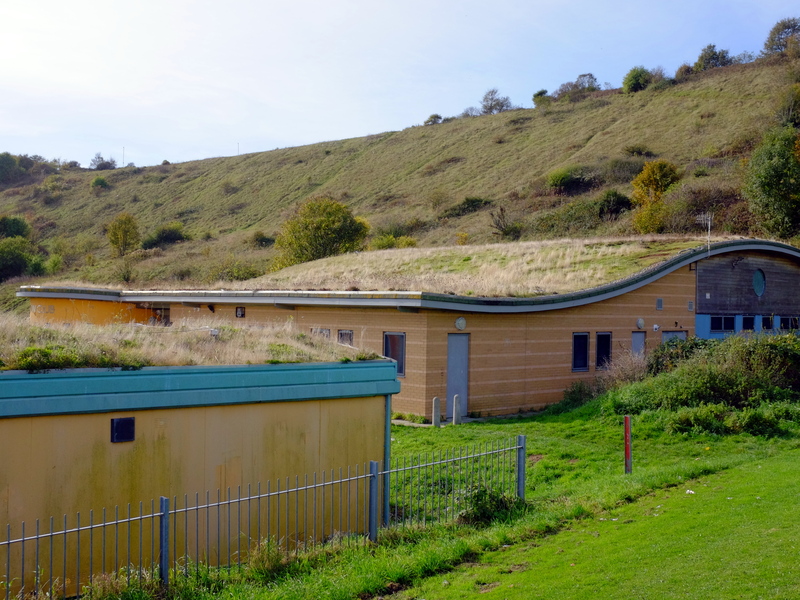 Finally we went to Whitehawk to see the great wildflower roof at the Crew Club. Unfortunately the roofs on the Children’s Centre and library are faring less well – much of the planting has died and the roofs should really be refurbished. 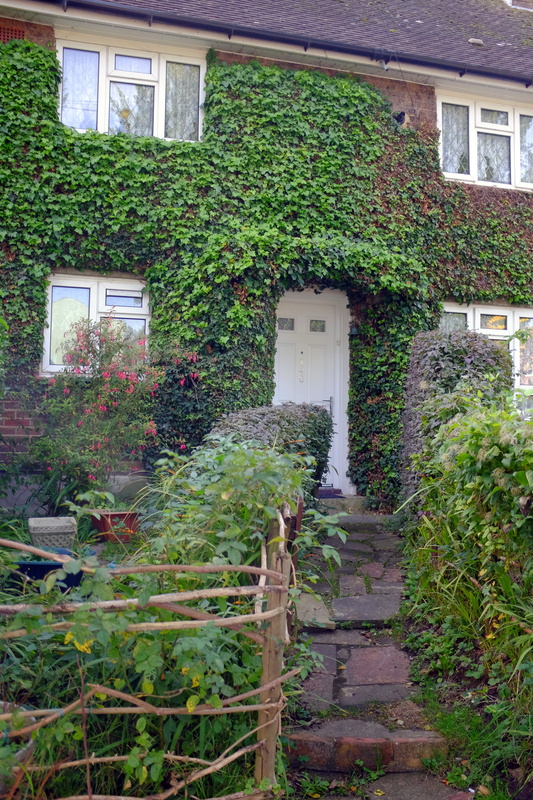 Still, it’s a hotspot for green roofing and green building – nearby houses are making their own contribution too, as this well managed ivy attests. All in all a great weekend – new friendships, new networks, and some new neural pathways from all this learning!